I appreciate looking back at my apprenticeship now; it was a very unique place and time. There was a department for every aspect of coachbuilding/body-building. After spending the obligatory amount of time in each department I concluded the remainder in the panel shop where we would make and repair all the panelling for the buses, coaches, trolley buses and on occasion’s fire engines, ambulances and civil defence vehicles. There was no off-the-shelf panels for these vehicles in those days, everything was handmade. The guys that taught me had completed their apprenticeship between the wars and had a huge amount of knowledge. Looking back now I wish I took even more notice! I have very fond memories of this time and remain extremely thankful to those highly skilled men who gave me so much. After finishing my apprenticeship with Bournemouth Corporation Transport (BCT) I worked for various main dealerships in their accident repair shops, as well as time outside of the industry. Immediately after my time at BCT I had a brief stint working with John Handford who I remain great friends with. John was in fact the apprentice before me at BCT, my apprenticeship being the very last one in the bodyshop to be completed. 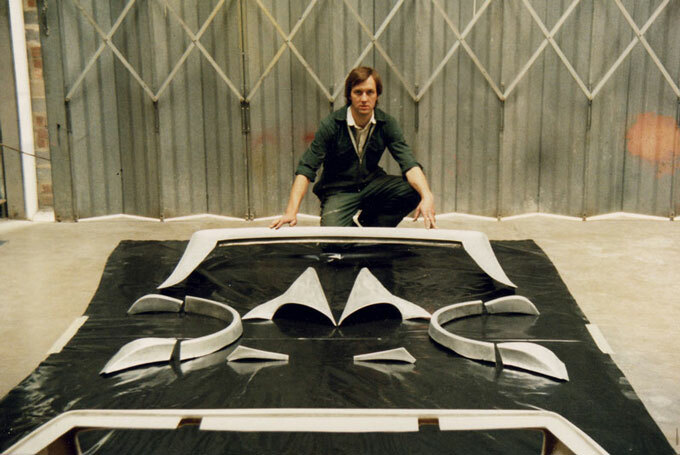 During the mid 70’s I also met and worked with Pete Whild another talented and creative man, who taught me a lot about planishing. Pete was able to make a zen like connection with planishing and finishing, always looking for that sweet spot. We too remain great friends. After some time in the regular accident repair world I felt as though my skills were not being fully realised. An opportunity to work for Emblem Sports Cars the Ferrari dealership in Dorset arose which offered me more inspirational work. When I joined Emblem they had just begun customizing and styling Ferraris and Jaguars as well as some Porches's and Mercedes's and also had a long list of clients from all over the world. I felt far more at home using my panelling and creative skills again. 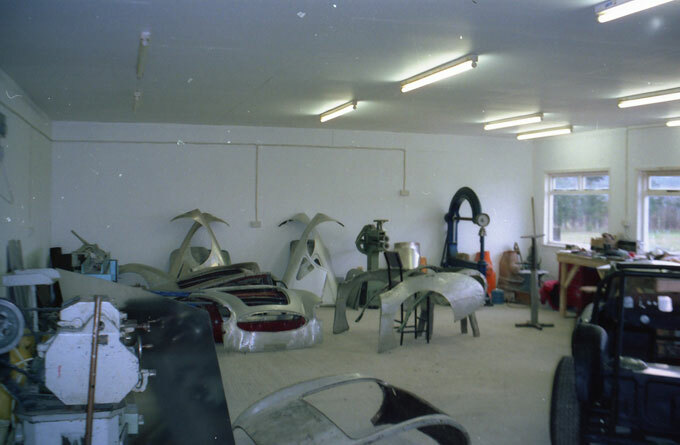 When I arrived we used a lot fibreglass but soon moved onto aluminium for body-parts and panelling which suited me. I re-style the Emblem Ferrari 512 BB ‘Boxer’, numerous 308’s and Saudi Arabia’s Prince Naif’s 308 GTS QV amongst many. 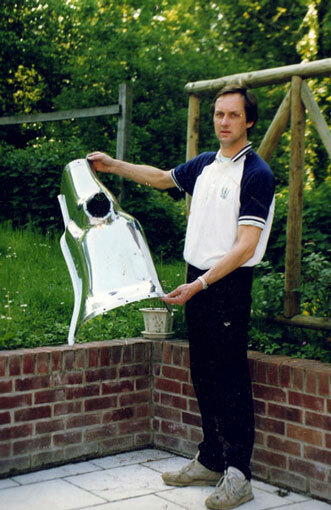 I first met Roly Nix when I was at Emblem Sports Cars in 1980’s whilst there we re-built three of his cars, two Ferrari’s and one Jaguar XJS. 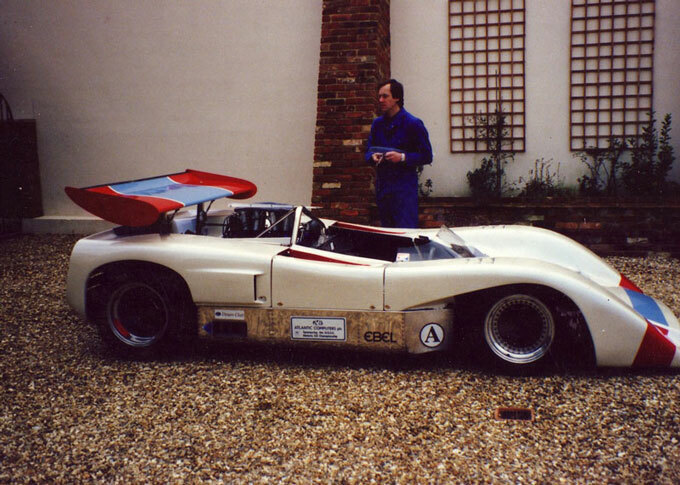 I ended up working for him (Wessex Garage Doors Historic Racing) building and maintaining his collection of racing cars on and off the track all over UK and Europe. It was a busy time on the historic circuit. If anyone's interested in historic racing it's hard work, long hours and weekends away but you get a real buzz seeing the cars you've worked on doing so well out on the track. During this period I met Denis Welch, Vin Melkie, John Chatham and many more well known historic racing drivers and engineers all of which I kept in contact with and latterly did work for. I decided to start Specialist Historic Panels (SHP) in 1989 when Roly Nix stopped his motor racing activities. I had acquired many contacts during my historic racing days and it was clear there was a big demand for my skills and panelling. I bought a workshop relocated to Verwood and started trading. In those early days of the business I continued working for associates such as Aston Service Dorset, John Chatham and Denis Welch plus made connections with more people in the vintage car world. My core work at this time was principally Austin Healey shrouds and panel repairs. I used to make deliveries and there was always more work waiting to be picked up – Bristol, Birmingham, Manchester, London was my usual route! I started to attract more vintage car re-panelling and coachbuilding such as Aston Service Dorset’s Lagonda M45, Mr. Harris’s 1911 Daimler and McKenzie Guppy’s GN Martyr. 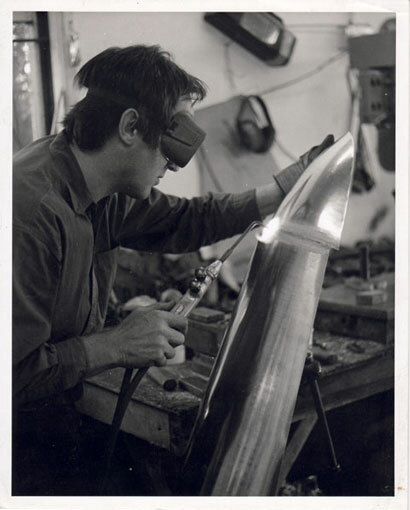 I also began work on larger projects such as Joe Harding’s Lagondas. Around 1991 I relocated again to Tarrant Gunville and soon after started taking on staff. Work kept on coming our way including the Le Mans TRI61 Ferrari for Chris Rea but in December 1994 my son Mark was diagnosed with leukaemia which obviously drew me away from business and was a stressful period. It is credit to the chaps working for me at the time who kept everything afloat. With great indebtedness to Southampton General Hospital Mark recovered well and remains in remission. It was around this time Bournemouth and Poole College contacted me about providing specialist input into their BTEC Historic Vehicle Restoration Course. After a couple of months I ended up running all the practical aspects of the course and this arrangement lasted at least 6 years, I even taught evening classes due to the demand. A couple of my best students ended up working for me, Ben Andrews and Matt Edley. I gave Ben Andrews an apprenticeship in coachbuilding and panelling. 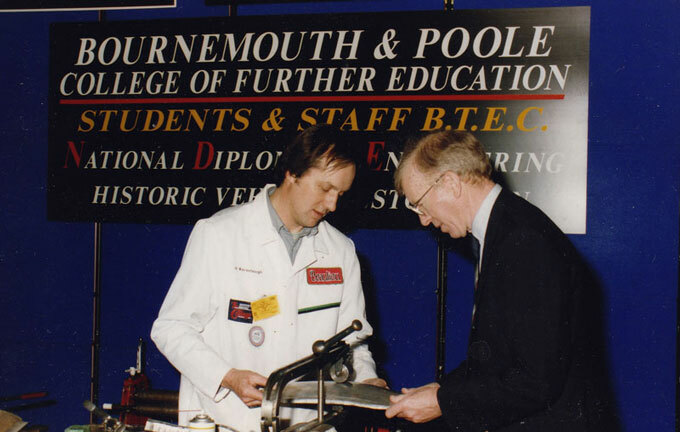 I enjoyed teaching at the college and was happy to pass on some of my knowledge just as the old boys at Bournemouth Corporation Transport (BCT) had done for me. 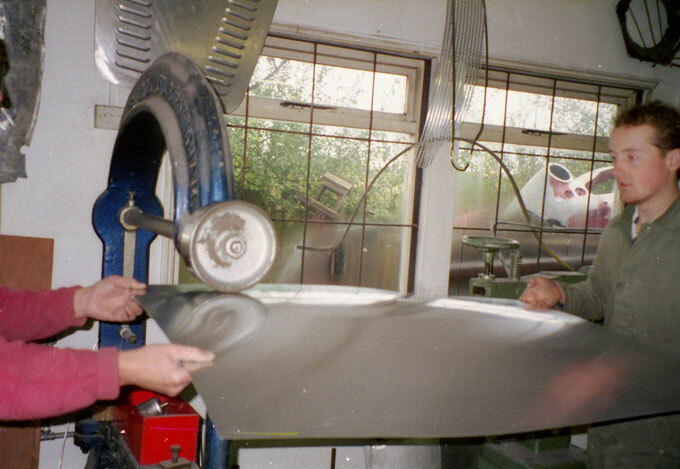 During the rest of the 1990’s and 2000’s work continued to come our way but not only on vintage or classic cars but all sorts of jobs such as one-off pieces, components, parts and antiques. In 2006 with Mark working alongside me more and more and with no more staff the time felt right to morph into DMark Concepts and on with a new chapter. From 2006 onwards we (Don and Mark Standhaft) traded as DMark Concepts, a partnership and father and son enterprise. We decided to re-vamp the name previously Specialist Historic Panels in 2006 because Mark, having learned and worked alongside me for years became more involved, hence the name change. Over the years our vintage car work-flow has never ceased yet we have also enjoy a healthy source of trade from componentry, parts, antiques and other conceptual pieces. Having been based in Tarrant Gunville for well over 20 years in late 2010 we relocated into McKenzie Guppy the Bentley and Rolls-Royce specialists in nearby Blandford Forum. For many years we have known and worked closely with the team at McKenzie Guppy's and were delighted when they gave us the opportunity to operate from their place of work. 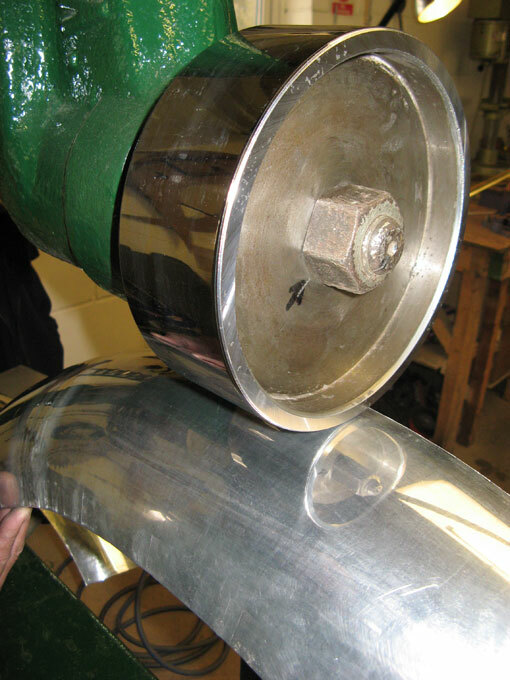 The relationship prospers because our coachbuilding and panelling compliments their specialist vintage car engineering.